Are You a Good Candidate for Veneers? While there’s usually a period of months between implant placement and the permanent crown, a new technique known as same-day tooth replacement installs both the implant and a temporary crown during the same visit. But be advised — it does have its risks and isn’t for everyone. Successful same-day replacements require special attention during the three phases for implants: the removal (extraction) of the existing tooth; placement of the implant in the bone; and attachment of the crown, the visible tooth, to the implant. 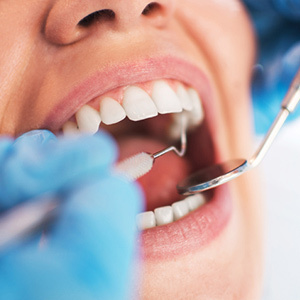 The tooth extraction lays the foundation for the entire process; the extraction procedure must be performed carefully to avoid undue damage to the socket. In addition, if infection or disease has compromised the site, an implant may not be possible immediately. The implant must then be placed in the bone so that it’s stable and immovable. All implants stabilize with time as the bone grows and adheres to them, but we need greater stability for a same-day tooth replacement when an extraction is performed. Our last consideration is positioning the implant so that the attached crown blends in naturally with the surrounding gum tissue and adjacent teeth. We must place it at the proper depth below the gum tissues so that the crown appears to emerge from them in the proper tooth length. Taking extra care during all these phases, including the angle of crown attachment, will increase our chances of success. We still run a risk of implant damage or failure, however, from biting forces before the implant fully integrates with the bone. This means avoiding chewy foods and other situations that might increase the force on the implant. We may also use a temporary crown that’s slightly shorter than adjacent teeth so it won’t make full contact with the opposing tooth. If you’d like to know if you’re a good candidate for a same-day tooth replacement, see us for a detailed examination. After reviewing your needs, we’ll be able to discuss with you the risks and benefits for a new look in one day.